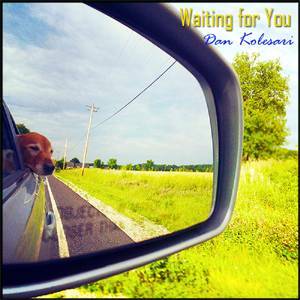 The Summer of 2015 brought a flurry of local album releases, but one that stands out is from Milwaukee singer-songwriter Dan Kolesari, aptly titled Waiting For You. While Kolesari is no stranger to the Milwaukee music scene given his decade’s worth of gigs at various local piano bars, this is his first album of original material. He covers the spectrum of styles on Waiting For You, from the piano melodies of Billy Joel on “Nothings Gonna Let You Down”, while “Rescue Me Please” conjures images of the pop sensibilities of Nick Lowe, The standout track is the fine blues tinged ode to his city of origin on “Milwaukee”. Throughout the album, the listener can not only sense a strong influence of the classic singer-songwriters of the 1970s, but also a hint of New Orleans-esque flavor. The combination of Kolesari’s soulful vocals and heartfelt lyrics make this an outstanding inaugural debut.